Historically speaking, the introduction of a new CPU architecture from either Intel or AMD has usually been preceded by fervent speculation, genuine excitement and bated breath. I remember with fondness - and also showing my advanced years - the move from the 486 to Pentium. Then later, after the misfiring Pentium 4 was taken to task by a slew of AMD Athlons and subsequently put to bed, the wholly impressive Sandy Bridge architecture arrived on the scene almost six years ago. The mainstream and even premium space of the desktop CPU market has stagnated since then. Ivy Bridge, Haswell, Broadwell and Skylake have offered iterative improvements and, truth be told, were purposely designed with the mobile market in mind. On the other end of the scale, ever-denser CPUs and hideous levels of cache have kept the same-architecture Xeons out of everyman's reach. AMD, meanwhile, hasn't reignited the volume desktop space with anything approaching the hard-hitting Athlon of yesteryear. So a general malaise has afflicted the quad-core desktop CPU market. Next year proves to have more potential, with AMD unleashing the Zen architecture and Intel offering seventh-generation Kaby Lake and eight-gen Cannonlake architectures. It's a sign of the times that Kaby Lake chips are already in small-form-factor PCs and ultrabooks, with Intel's low-power intent shining through brightly. That said, Kaby Lake chips are coming to the desktop at CES 2017, exactly six years after the defining Sandy Bridge CPUs took their bow. Details on desktop Kaby Lake are scarce because its official launch is about a month away. What we do know, by looking at the performance of mobile chips and sifting through public data from the Intel Developer Forum back in August this year, is that they're still based on 14nm technology, are endowed with a CPU-specific architecture that is, as far as we can tell, identical to Skylake, yet offer an improved media engine ostensibly to cater for 4K and newer codecs by being able to decode Google's VP9 codec content and ability to encode and decode 4K 10-bit content encased in the high-compression H.265 codec. The real question is, how does all that high-level detail translate to Skylake-beating goodness for the enthusiasts out there? Turns out the supposition that there's been no obvious change in the CPU architecture between sixth- and seventh-generation Core CPUs is correct. In other words, a Kaby Lake CPU operating at the same speed as an extant Skylake model will benchmark at the same level. That's a turn up for the books as Intel historically tweaks the CPU core when keeping the fabrication process on the same node. What this means is that Intel is effectively abandoning its tick-tock strategy, one where there's manifest architecture improvement one generation followed by a process node shrink another. So how will the chip giant sate the needs of the enthusiasts when it is offering no more cores and the same ISO performance as what's been available in the marketplace for 18 months? The answer, on the CPU side at least, is higher frequencies through a refinement of the 14nm manufacturing process. Kaby Lake is able to hit higher frequencies at the same voltage levels through a reworking of the 14nm process technology gainfully employed in the Broadwell and Skylake architectures. It is reasonable to assume that foundry companies improve the efficiency of a leading-edge process over time, shifting the performance curve up for a given voltage, or, conversely, dropping the required voltage for a given level of performance. The premier Kaby Lake chip, Core i7-7700K, runs at a standard, all-core 4.2GHz and turbos up on one core to 4.5GHz. This is a reasonable uptick from the 4.0GHz all-core and 4.2GHz single-core mandated on the Core i7-6700K, though, of course, the premier, unlocked Skylake chip can be overclocked further than its base frequencies. According to Intel, this Kaby Lake frequency hike is the direct result of a series of transistor-level enhancements. The most notable of these is the introduction of taller fins and an improved gate pitch, and they combine to offer an extra 200-400MHz frequency at the upper end of the scale. Think of Kaby Lake as a Devils Canyon counterpart to the Core i7-6700K. And that, really, is your performance lot from an enthusiast's point of view, because the vast majority will be rocking a discrete GPU that is able to process the latest video standards, negating the advancements present in the media block for these seventh-gen chips. We've listed a select number of chips from various Intel generations for at-a-glance comparisons. The Core-i7 7700K and Core i5-7600K are but two of 10 proposed Kaby Lake chips for the desktop market. With so little changing from an architecture point of view, the pair uses the same LGA 1151 socket as Skylake. We also know that most current Z170-based motherboards will support Kaby Lake through a simple BIOS update, yet in an effort to keep the chipset bang up to date, Intel is introducing a series of 270-series chipsets to coincide with Kaby Lake's launch. 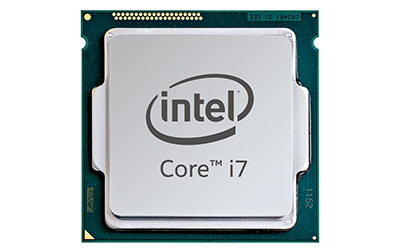 Simple advice to anyone considering a quad-core Intel platform in early 2017 is to opt for the Kaby Lake/Z270 combination, though upgraders from a recent motherboard can, if they so choose, simply drop in the latest Core i7 and Core i5. As it so happens, we'll be covering the Z270 launch in due course. Perhaps it is disappointing to see so little obvious innovation on the desktop side, though be mindful that we're basing such an assertion on conjecture alone. Yet this doesn't deter us from benchmarking a Core i7-7700K ahead of its general release next month. Want to know how it compares against a Core i7-6700K on the exact same platform? Read on to find out.